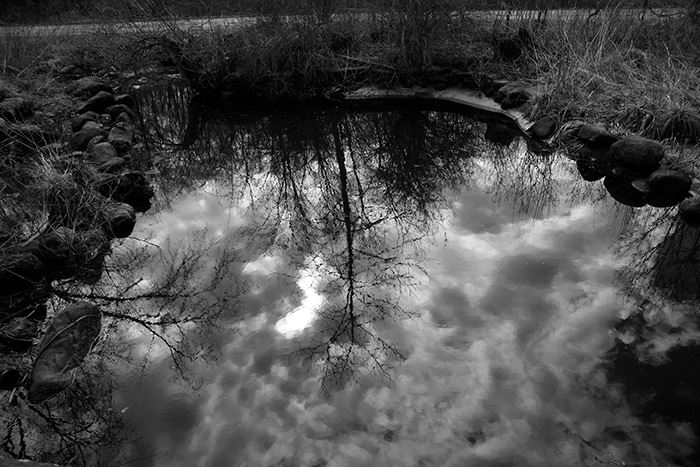 This entry was posted in Water Views and tagged Black-and-White Photograpy, Cloud Photography, Landscape Photography, Reflections. Bookmark the permalink. 2 Responses to Reflections on a Winter Day, Woodbury, Conn.
A rich and evocative image. It has a dreamlike quality. From: Marc Isolda Photography <comment-reply@wordpress.com> Reply-To: Marc Isolda Photography <comment+7gkyutsw6ovud6ra4yot_-h@comment.wordpress.com> Date: Friday, March 24, 2017 at 11:41 AM To: Tom Presby <tompresby@compasspartners.us> Subject: [New post] Reflections on a Winter Day, Woodbury, Conn.